This paper investigated the perceptions of Religious and Moral Education (RME) teachers with regard to the implementation of RME syllabus in Namibia. The paper engages a crucial global debate on paradigms for teaching religion and moral values while contributing to the literature through research in the Ompundja Circuit of Oshana Region, Namibia. Contrary to the previous colonial era when Christianity was the only recognized religion, the Republic of Namibia adopted a new constitution making it a secular state upon independence in 1990. This new constitution, however, brought new challenges to teachers who were previously trained only to teach Biblical Studies as a school subject. With this new constitution, Namibia adopted a policy of teaching a multi-cultural religious and moral education curriculum. The teaching of RME replaced Biblical Studies in the Namibian curriculum. Teachers are now required to make their learners aware of the different religious and moral values of Judaism, Christianity, Islam, Hinduism, Buddhism, African traditional religions, Bahai and others inextricably. This, paper, therefore, presents findings from a case study research conducted at Ompundja Circuit of Oshana Region in Namibia that examined the perceptions of Religious and Moral Education (RME) teachers with regard to the implementation of RME syllabus. Fourteen teachers from selected schools participated in this study. Teachers were interviewed, observed and later completed a set of questionnaire. Findings indicated that teachers’individual religious and moral values shaped the teaching and learning process; teachers’ individual religious and moral values played a major role regarding conflicting concerns over RME; and as most RME teachers were Christian, they felt a commitment to share their personal Christian religious beliefs and moral values. 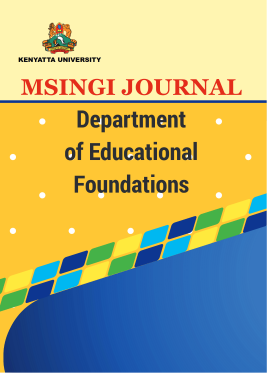 The paper recommends that teachers be provided with the necessary teaching resources and be trained to develop more confidence and broad understanding of RME as a subject.